The Department of the History of Art and Archaeology is internationally unique in its broad coverage of the visual arts, architecture and material culture of Asia and Africa. We are confident that no other British, European or American university can provide the range of teaching and research interests we now offer for the study of Asian and African art. The title of the department and of our degree courses is not intended to suggest a programme somehow divided between the history of art, on the one hand, and archaeology, on the other, but rather to emphasise the fact that the conventional separation between archaeology and the history of art has little relevance for the study of Asia and Africa. 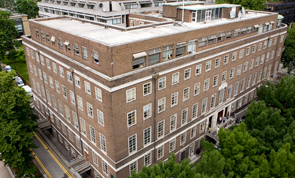 Known for being a small, friendly university, SOAS offers good specialist choices and is home to a specialist library and museum collections. Students can often take modules offered by the UCL Institute for Archaeology as part of their degree.